Announcing our Vita Giveaway Winner! After a month's worth of entries in our What Would You Do for a PS Vita? giveaway, we've seen just about everything. Submissions ranged from thoughtful, to fun, to downright crazy, but in the end, there can be only one. So, without any further ado, let's hear it for our winner: Allen Parker and his delicious looking GameSplash themed breakfast! Giveaway: What Would You Do For a PS Vita? The Playstation Vita is now available in stores nationwide, and we're celebrating its release the best way we know how - by giving you fine folks the chance to win one! Of course, we don't want to just give it away (where's the fun in that?) - you're going to have to earn it. How? 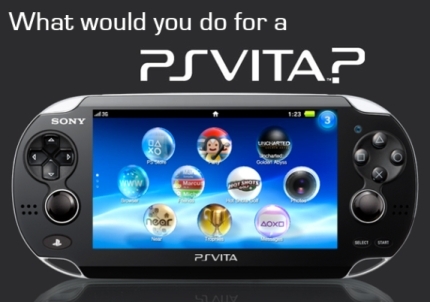 Simply answer this question the best you can: What would you do for a Playstation Vita? Be creative, be entertaining, and most of all, be original. A couple quick hints - showing is *always* better than telling, and this time, wanton console destruction just isn't going to cut it. Get those ideas flowing, you have one month from today to enter! Sony President & CEO Jack Tretton had some exciting news for Playstation fans today. Taking the stage at the Web 2.0 expo in San Francisco, he revealed the launch date for the Playstation Vita in North America, Canada, Latin America, and Europe. 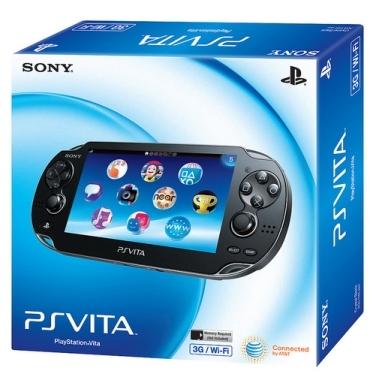 The Playstation Vita will be released in these regions on February 22, 2012. As previously announced, the forthcoming handheld will be available in both Wifi only and 3G/wifi variants; the former retailing for $249.99, and the latter retailing at $299.99. Over 100 titles, from established franchises to new series alike, are currently in development for Playstation Vita, many of which will be available on or around launch day. In addition, Vita will also come with built in support for Twitter, Foursqaure, Facebook, and Skype, right out of the box. Today at Gamescom Sony announced that the PS3 will drop in price immediately. The old price was $299. It is now $249. The more pricey 320 gig unit will drop from $349 to $299. They also announced that a special inFamous 2 bundle is available at participating stores. The bundle also includes a 30 day subscription to Playstation Plus. Sony also announced a new PSP model that will only cost 99 Euros. The new version will only be available in Europe. No international version has been announced yet. It is exactly the same as the slim version except that it does not have wifi. Only UMD games will be playable on the new version.